Lakeville Kitchen & Bath, a fixture in the Lindenhurst community that sold its headquarters to an apartment complex developer, relocated to West Babylon and Farmingdale thanks in part to a tax break. The company sold its longtime property off East Hoffman Avenue, across from the Lindenhurst train station, to East Setauket-based Tritec Real Estate for $11.4 million. Tritec plans to build a 260-unit apartment complex. The new showroom and offices are at 140 Broadhollow Rd. in Farmingdale, along what’s known as “furniture alley” because of the prevalence of furniture stores, while 45 Cabot St. in West Babylon is home to the warehouse and distribution center. Lakeville president Richard Sirlin said while the Broadhollow Road location was a good fit for the showroom, the expensive real estate prohibited the company from locating the warehouse there. 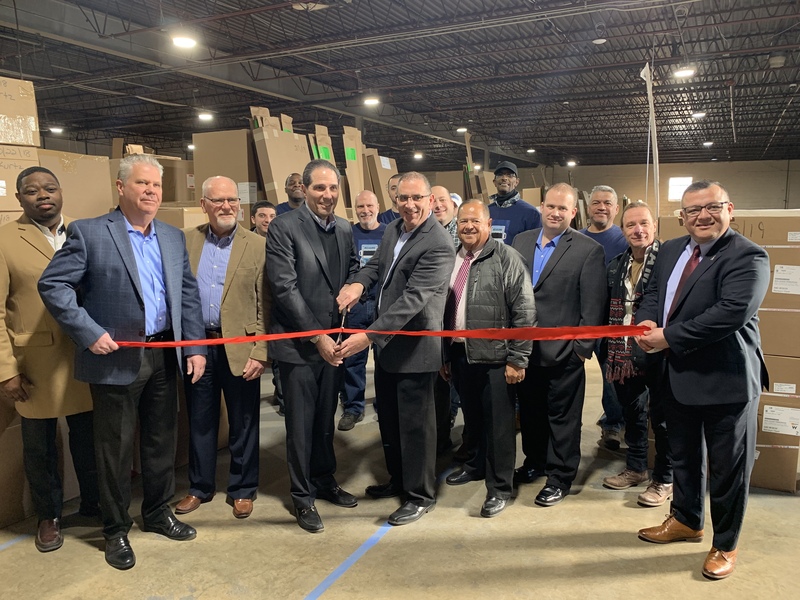 “As a priority, what was very important to us was to stay within the Town of Babylon because that’s where our customers know we are,” Sirlin said during a ribbon cutting Wednesday morning in the new warehouse. All of the approximate 35 employees moved with the company. The company got a tax abatement from the Babylon Industrial Development Agency, a public authority that grants tax breaks to projects with industrial uses or workforce housing and that create or retain jobs. “With the help of the Babylon IDA, we were able to stay within the township,” Sirlin said. The company got a 30 percent abatement on its property taxes for 12 years, paying $958,973 over that period, saving $412,030, according to the IDA. The company will also save $43,125 on sales tax for new purchases. “We felt this was a great story and a great thing to be involved in,” IDA CEO Tom Dolan said at an IDA meeting earlier that morning. The business began in 1935 as a company manufacturing kitchen and bath cabinets before moving over to supplying cabinetry. IDA chairman Ramon Accettella Jr. said he worked with the company earlier in his career.